Manufacturer: MEGAPRO MARKETING USA INC. This 15-in-1 screwdriver is from Megapro and is a great addition to any jobsite tool set. The yellow handle makes this tool standout and easy to find. 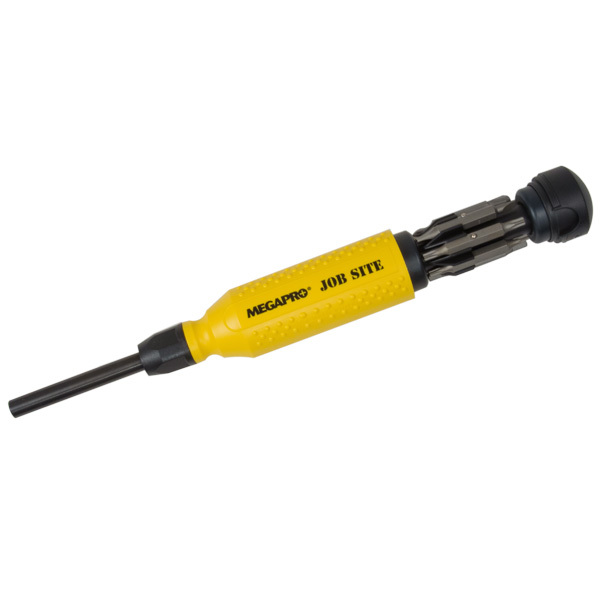 Along with the other bits included with this driver are special hex and allen bits, which are great to service pneumatic power tools while on the job. There are also Phillips, Hex, Torx, and Flat bits included. 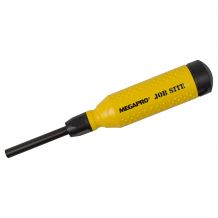 The shaft can be used as a 1/4” hex screwdriver. Mfg: Megapro Marketing USA Inc.